Sun-Maid Californian Raisins and Prunes | William Aitken & Co.
Sun-Maid raisins have been grown and packed in California since 1912 and also have a long history in New Zealand. Several generations of Kiwi kids have gone to school with a snack-sized box of Sun-Maid raisins in their lunch box next to their sandwiches. 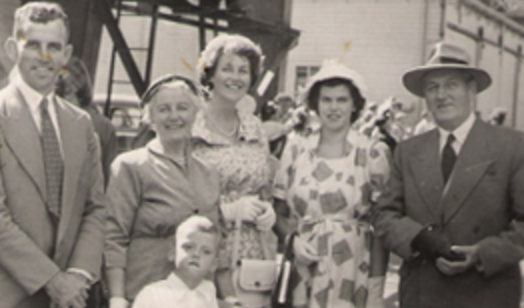 For many the empty packet became a whistle, providing entertainment for the rest of the day! 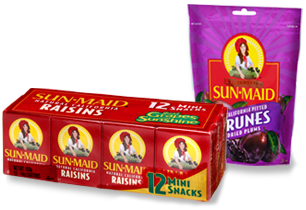 Sun-Maid is New Zealand’s market leading brand in Raisins, with a range of products from snack packs to a 1kg bag.